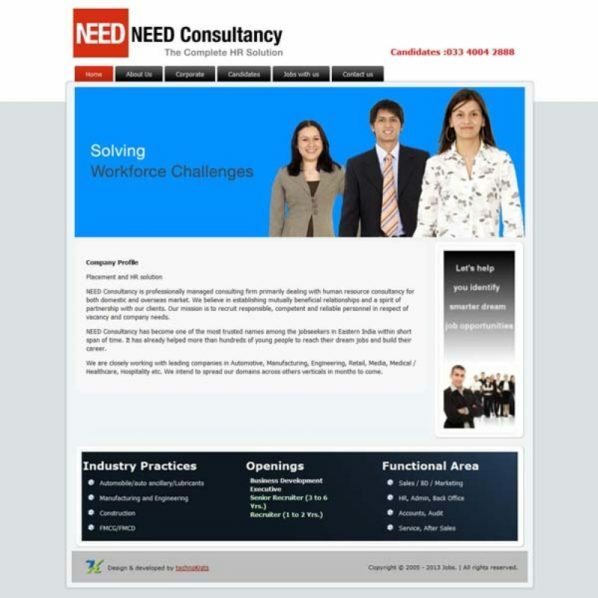 NEED Consultancy is a professionally managed consultancy firm. It deals with human resource consultancy for both domestic and overseas market. It has become one of the top names among job seekers in eastern India. The blue & white colour combination gives the site a very bright and contrasting view and the contents of the site are placed in such a way so that it give the site a clean look and informative. It is strongly supported by Joomla.